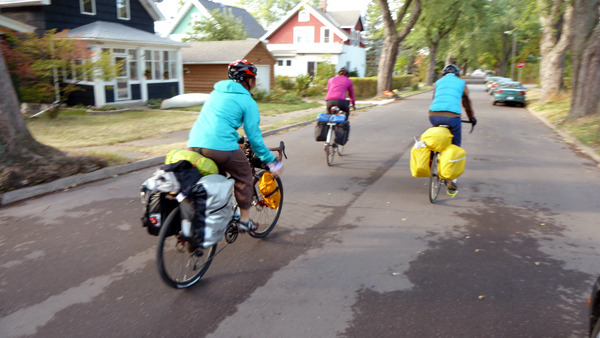 We were excited to host three cyclists from Western Michigan on day 7 of their Lake Superior Circle Tour. 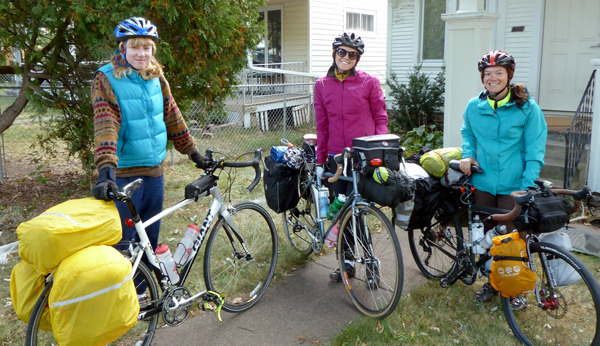 Tara, Jill and Emma are braving the chilly autumn temperatures of the North Shore and plan to complete their trip in a couple more weeks. Duluth is conveniently located at the “corner” of Lake Superior, where the South Shore (sandy and flat) and the North Shore (rocky and hilly) meet. 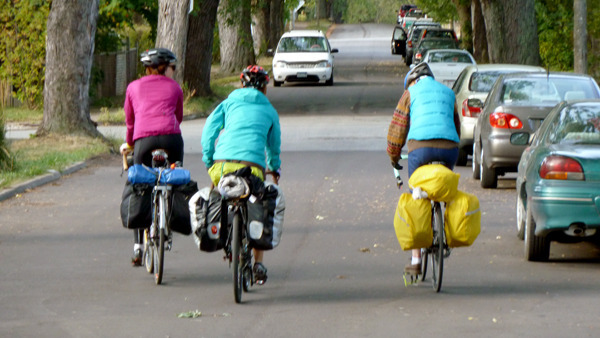 Having started in Marquette, Michigan, they will be trading headwinds for hills as they ride up Highway 61 towards Thunder Bay and beyond. For Jill and Tara, this is their second lake circle tour–they rode around Lake Michigan last year, and plan to do Ontario next. After all the Great Lakes, they plan to ride the Continental Divide trail–a very impressive itinerary. Stay superstrengthified and power to the pedal! Good luck and ride safe!